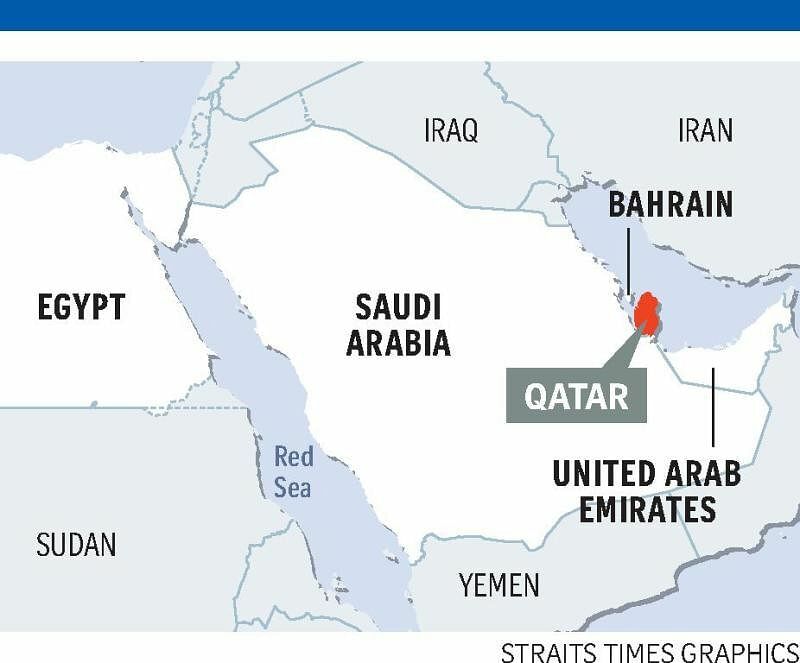 KUALA LUMPUR/KARACHI • The Saudi-led diplomatic clampdown on Qatar has put non-Arab Muslim nations in Asia in a difficult position. One of them is Malaysia, which rolled out the red carpet for Saudi Arabia's King Salman bin Abdulaziz al-Saud at the end of February, during the first visit by a Saudi king to the country in more than a decade. Then in March, it signed a defence cooperation agreement with Qatar. A source close to the Malaysian government said the recent efforts to strengthen ties with Qatar, including a visit by the Malaysian Foreign Minister last month, will now probably be put on the back-burner. "We have more to lose by siding with Qatar," said the source, who requested anonymity. The Arab world's biggest powers cut ties with Qatar on Monday over its alleged support of Iran and Islamist groups such as the Muslim Brotherhood. The clampdown is seen as an indirect jab at Iran, and leaves non- Arab Muslim countries in an "uncomfortable position", according to Dr James Dorsey, a senior fellow at Singapore's S. Rajaratnam School of International Studies. "The Saudis view Iran as the foremost terrorist threat rather than the Islamic State (in Iraq and Syria), and a lot of non-Arab Muslim countries... would probably not agree with that," Dr Dorsey said. Ties between Malaysia and Saudi Arabia have been in the spotlight... after Riyadh was dragged into a multi-billion- dollar corruption scandal at Malaysian state fund 1Malaysia Development Berhad. Both Saudi Arabia and Qatar have huge investments in Malaysia. Indonesia, Malaysia and Pakistan are predominantly Sunni Muslim, like Saudi Arabia. Jakarta has at times tried to play a mediating role when inter-Arab tensions flared, particularly between Saudi Arabia and predominantly Shi'ite Muslim Iran. Indonesian Foreign Minister Retno Marsudi received a phone call on Monday from Iranian Foreign Minister Mohammad Javad Zarif, who wanted to discuss the rift, said a ministry spokesman. Indonesia has called for reconciliation and dialogue in the latest clash. The dilemma is particularly acute for nuclear-armed Pakistan, which maintains deep links with the establishment in Riyadh that provided former prime minister Nawaz Sharif with political asylum after he was ousted in a 1999 military coup. But with a large Shi'ite minority and a shared western border with Iran, Pakistan has a lot to lose from rising sectarian tensions. It has maintained official silence about the latest rift in the Arab world. Pakistan also has close ties with Qatar, having signed a 15-year deal last year to import up to 3.75 million tonnes of liquefied natural gas a year from the emirate, a major step in filling its energy shortfall. "Pakistan has to act very carefully. In my opinion, there is only one option for Pakistan: to stay neutral," said retired army brigadier Shaukat Qadir, now an independent risk and security analyst. Ties between Malaysia and Saudi Arabia have been in the spotlight in the past two years after Riyadh was dragged into a multi-billion-dollar graft scandal at Malaysian state fund 1Malaysia Development Berhad. Both Saudi Arabia and Qatar have huge investments in Malaysia. Dr Dorsey said non-Arab Muslim nations like Malaysia would be "put on the spot" if the Saudis demand trade partners pick a side.